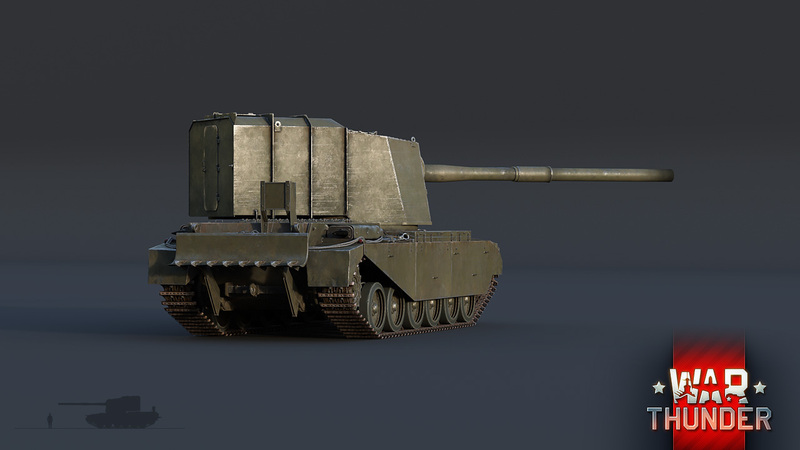 We are happy to present a high tier experimental tank destroyer - the FV4005 Stage II with a 183mm gun, which was a modified version of the BL 7.2inch howitzer. The FV4005 was manufactured as a single prototype that underwent test trials and was based on the Centurion hull with a massive turret with a very thin layer of armoured protection and massive rear overhang to provide necessary ammunition storage. 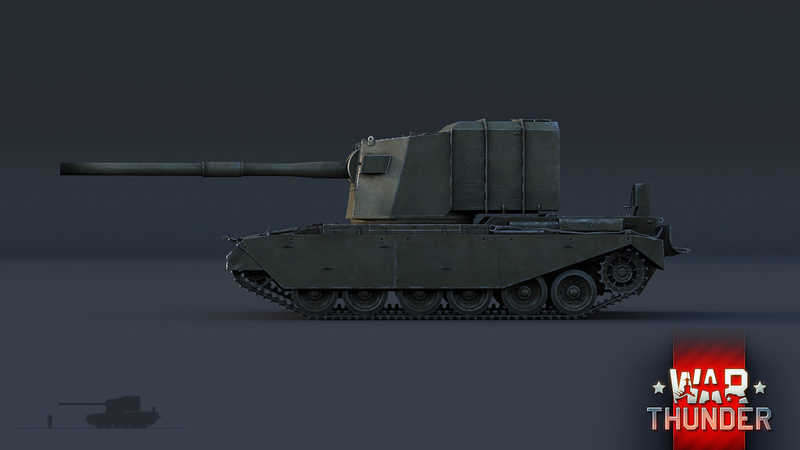 The project started in the early 1950s with an early attempt of up-gunned version that housed 183mm weapon with an automatic loader in a limited-traverse turret, so called FV4005 Stage 1. Both versions were very close in design to the FV4004 Conway that was designed as a stop gap to fight the Soviet IS-3 tanks. The Stage 2 prototype was powered by the Rolls-Royce Meteor engine, with a maximum of 650 horsepower. The tank was able to reach 18 mph (29 km/h) on flat terrain such as road surfaces. In the 1957, the tank destroyer was canceled due to it being deemed an unnecessary and dead-end project. In War Thunder, the tank will require a specific gameplay approach by being a relatively slow vehicle with very thin layer of armour on the massive turret housing a very powerful main armament. “Peekaboo” sums the recommended tactics the most. Find a suitable, tactical position on a higher ground that is able to hide the full profile of the vehicle and cooperate with other players to find unsuspecting victims for your state-of-the-art gun. Move from your cover, shoot your enemy (one hit will absolutely do!) and retreat back to a safe location. Be sure to change your position from time to time, but keep in mind that big, open areas are not friendly to this grand beast. 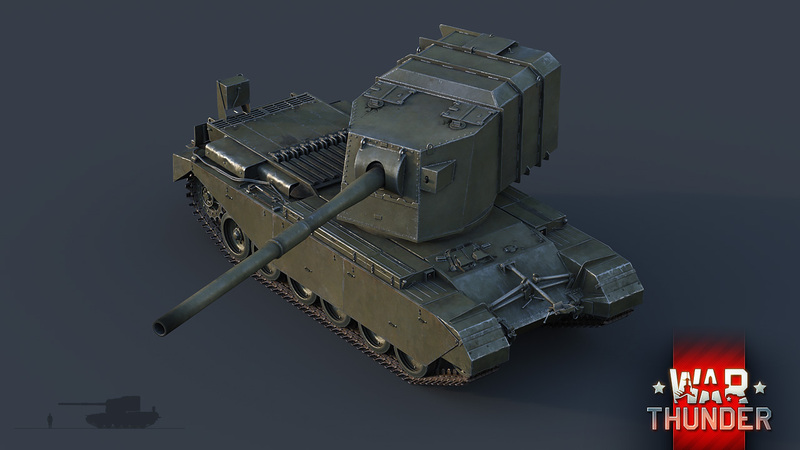 The unarmoured, massive turret is a dream target for many of the enemies you will meet. It can be penetrated even by high caliber machine guns and any received hits will cause damage to the much needed crew and the only strength of this tank - its firing compartment. Find your target, destroy it without any compromises and move on. Make your enemies fear of you on the battlefields. We hope this unique tank destroyer will add to the massive diversity of tactics used on the fields of War Thunder - Good luck! 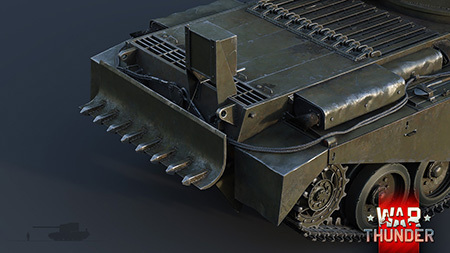 Oh, and remember: If you are out of ammo and the situation is dire, the tank cannon would probably be able to shoot even some of your.....more redundant crew members, that’s how big it is. A-26B-50: The King of Attackers! Gib Geschützwagen Tiger for Germany as an... uhm...counter? Thulle_, I smell salty FV4005-drivers. Don't need counters for this thing, it doesn't have any armour at all. Big guns, eh? STURMTA! STURMTA! Sturmtiger = Gift like E-100. or premium unlike this, it might be free if I know WT correct. are we getting the HE 177 this time? Stay tuned and follow our devblog! So this will be the biggest gun in the game??? ?